We have really had some crazy weather in St. Louis lately… nonstop clouds and rain, TORNADOES, you name it. 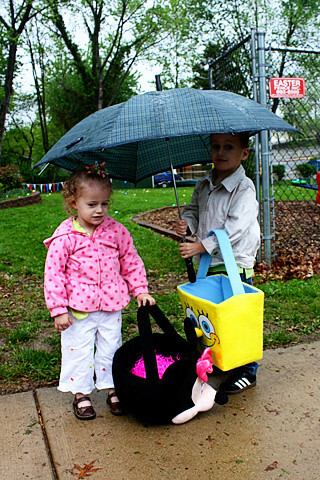 We arrived at Nathan’s school for the egg hunt on Saturday, and luckily it was sprinkling off and on. I had to get a cute picture of the kids under my umbrella. Look at ALL of those eggs! 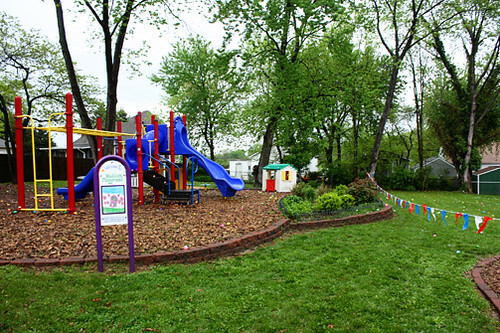 Last year they did the egg hunt on the field, but this year it was on the playground and surrounding grassy area. 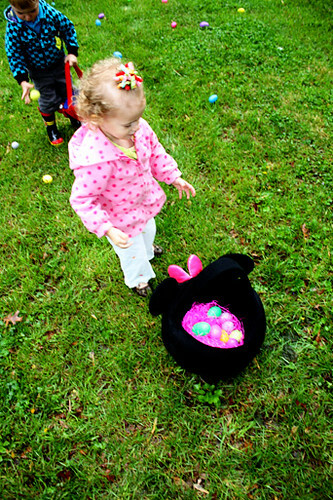 The older kids got to hunt for the eggs on the playground, and 5 and under (Nathan and Autumn) got to hunt for eggs on the field side. 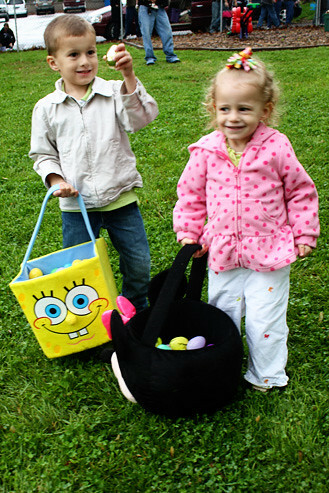 We went inside until the egg hunt started, so we could stay dry. 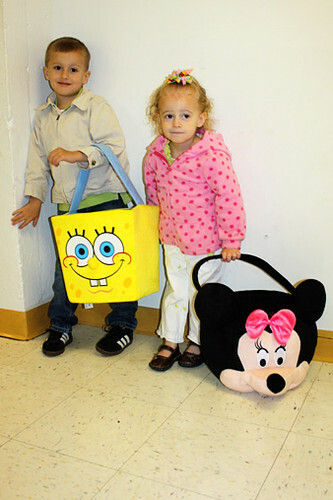 Aren’t the Spongebob and Minnie Mouse egg baskets cute? My Mom got those for the kids, they are HUGE! This is a cute, cute picture of the kids running outside… Little Autumn, trying so hard to catch up to BroBro! 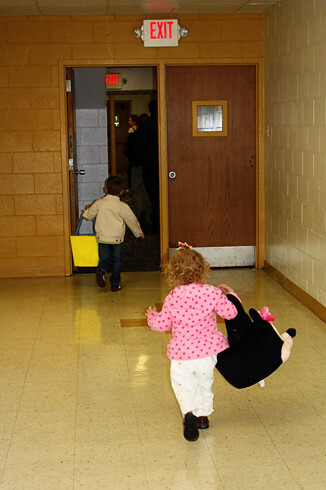 They announced the egg hunt was ready to start, so off they went! 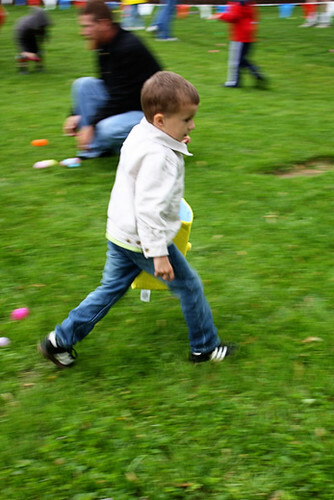 Nathan ran and ran to get all the eggs he could get. Sissy took her time getting her eggs. Because of the weather, it was a small turn out (compared to last year!! 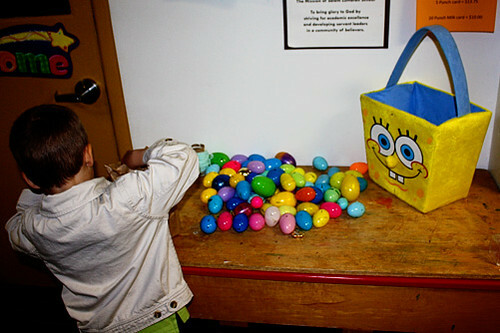 ), so the smaller kids could really take their time getting eggs which was nice. So happy with their eggs after the hunt. Nathan checking out his stash after the hunt.